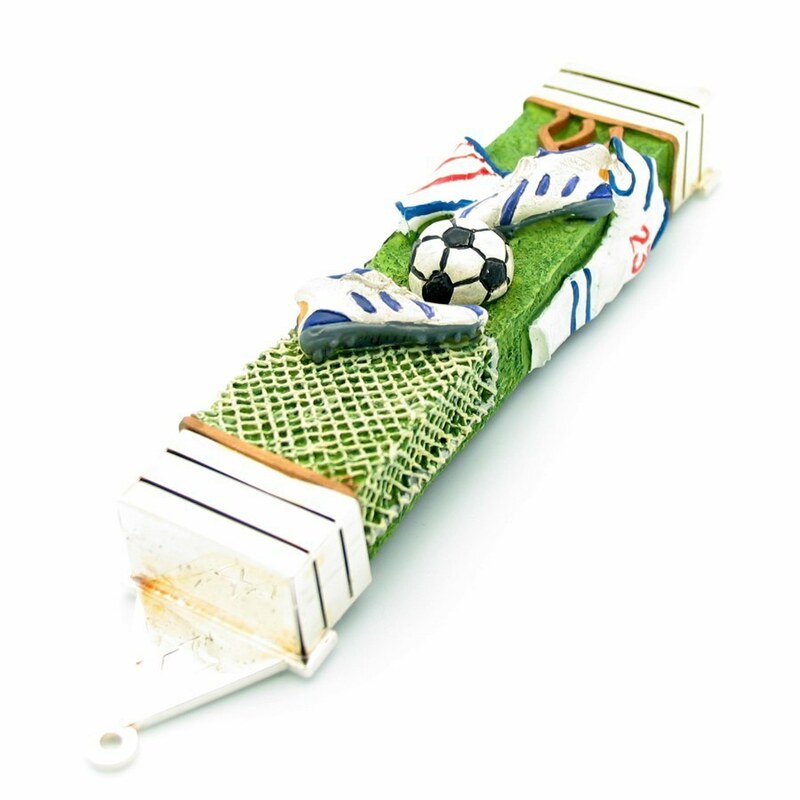 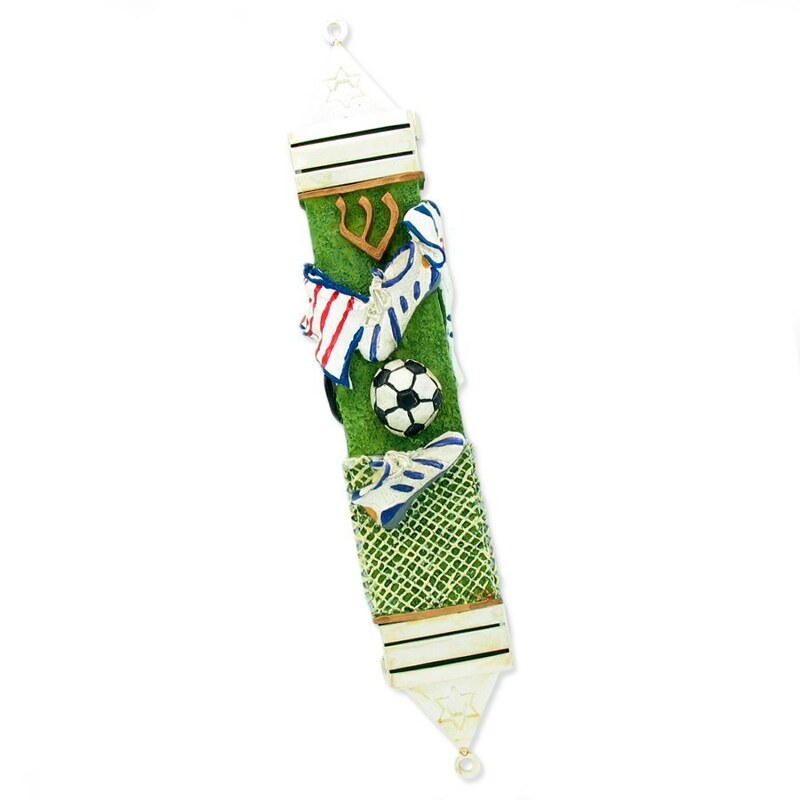 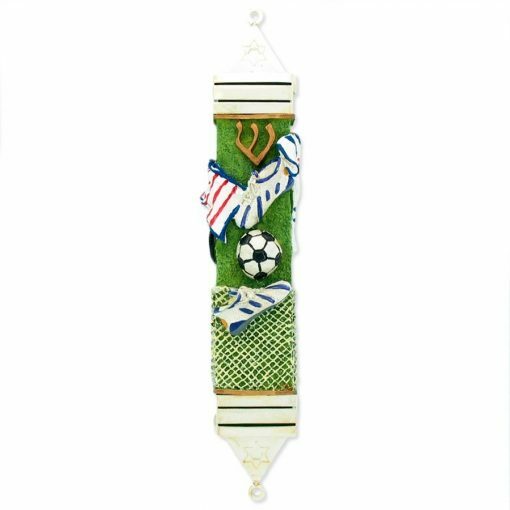 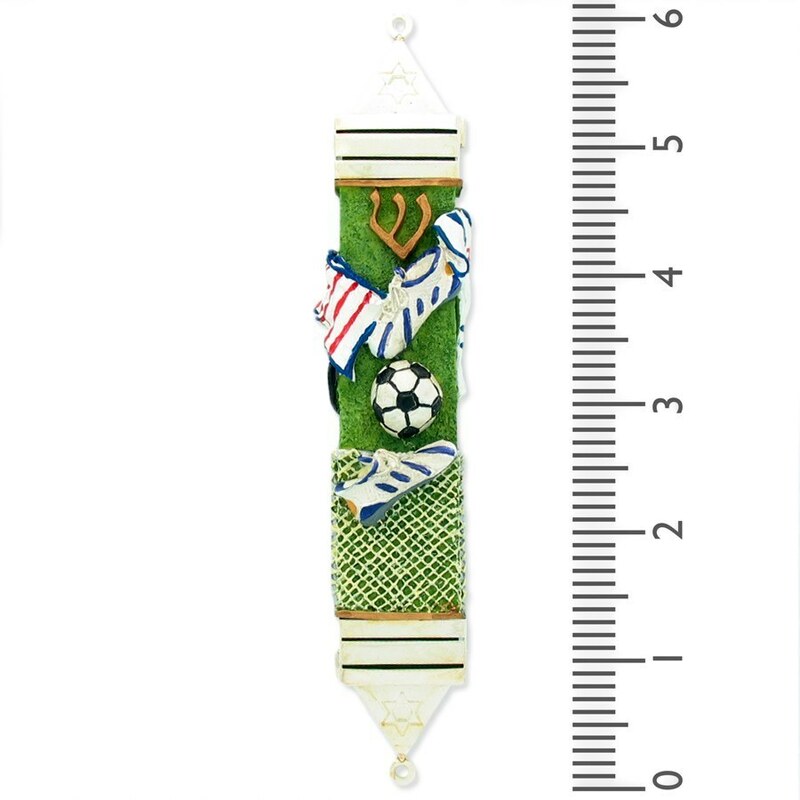 This Soccer Mezuzah was designed by Reuven & Tzipora Mazel. 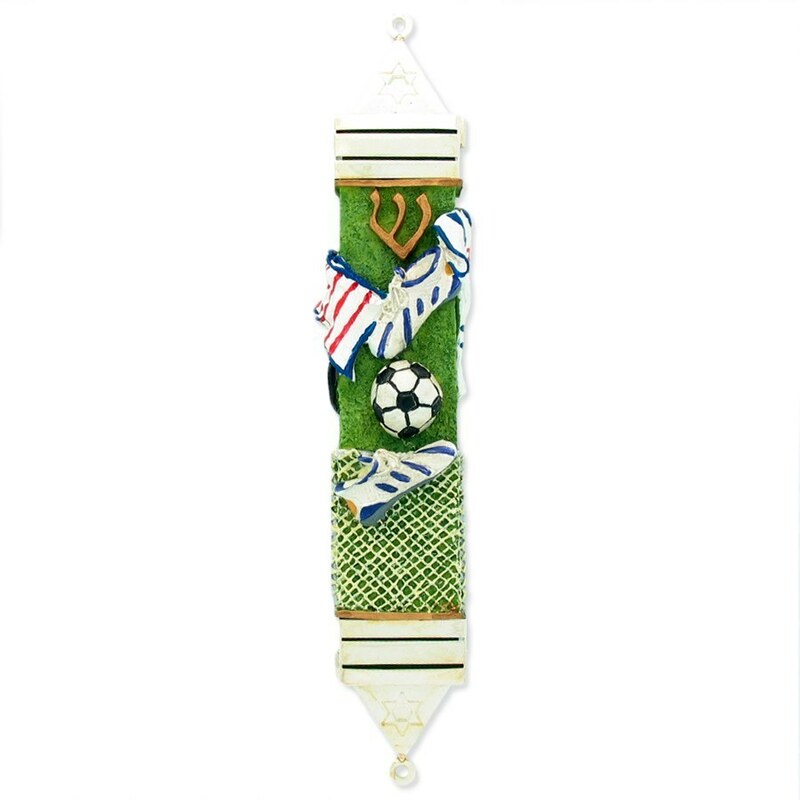 A husband and wife design team, their combined creative and artistic efforts have led them to become leaders in innovative Jewish art and gifts. 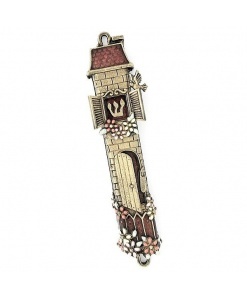 Their love and appreciation for Jewish motifs and history has found its medium of expression through art. 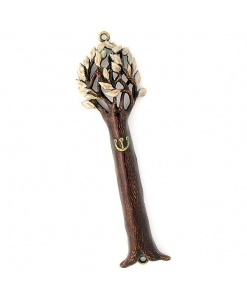 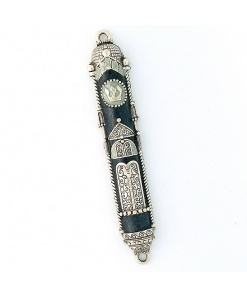 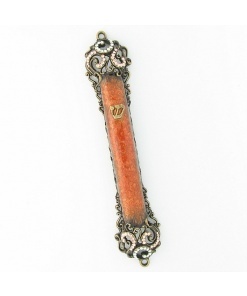 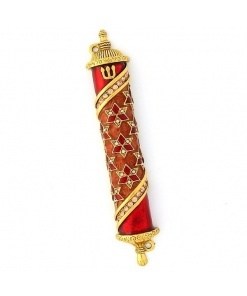 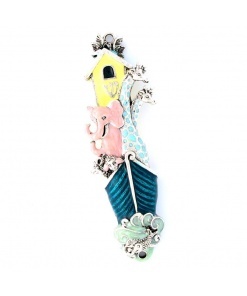 This Mezuzah is most noted for its Intricate details, vibrant colors and fantastic design.